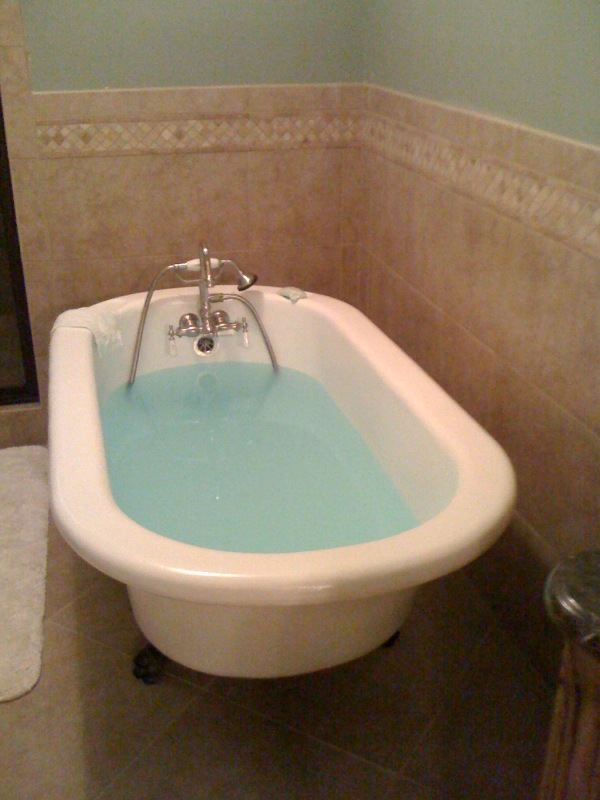 Here is the tub doing what it does best, preparing to soak an old body. functional. If you need a reference, just have them give me a call.